1.) “Once an Aggie, always an Aggie” : This quote says it all. No need for any further sugarcoating. If not a cult, then what is it? 2.) Buying way over-priced T-Shirts to show alliance: We all know those aggie t-shirts are way too over-priced, yet that doesn’t stop us from buying it. After-all we wear those t-shirts everyday of the year. If not a cult, then what is it? 3.) 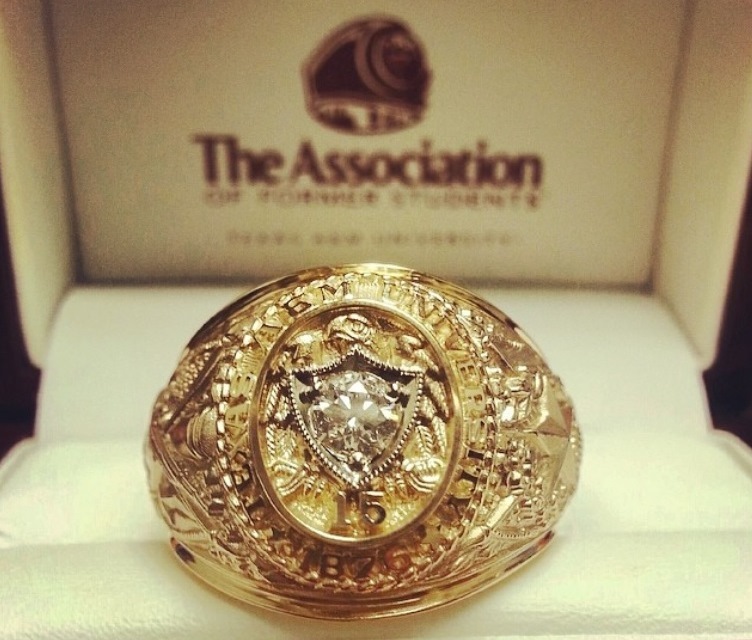 Aggie Ring: We literally wear it more than any other ring we own. I bet some people wear it more than their wedding rings. If not a cult, then what is it? 4.) Aggie Network: The aggie network is a powerful network, whether career-wise or relationship wise. An aggie will rather hire another aggie than someone from a different university. If not a cult, then what is it? 5.) Football: People travel all the way from Boston and other parts of the U.S just to attend an aggie football match. If not a cult, then what is it? 6.) 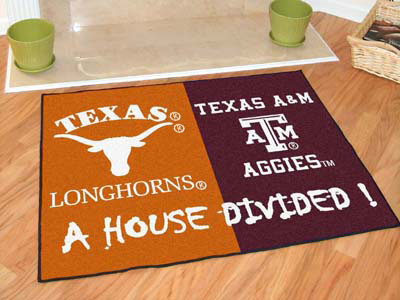 UT Rivals: We dislike other universities, especially UT; our rivals in academics and football. If not a cult, then what is it? 7.) Maroon & White: We wear these colors everyday. We even have aggie under-wears. If not a cult, then what is it? 8.) Aggie Muster: This is a ceremony that takes part every year where we recall aggies that have passed away. If not a cult, then what is it? 9.) Gig’em: We have a hand gesture tradition that started in 1930. 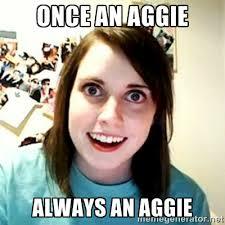 All aggies are acquainted with this. If not a cult, then what is it? 10.) 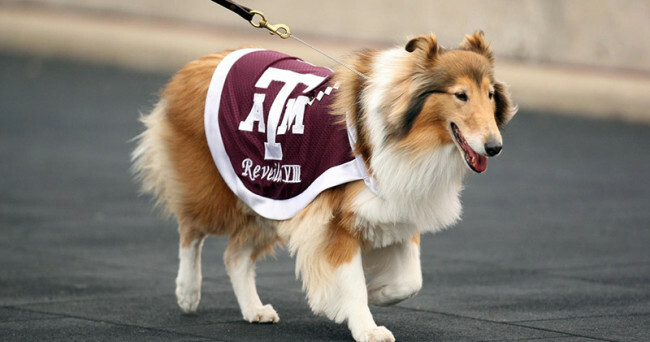 Reveille: We have a dog as a mascot, and she’s considered the first lady of aggie-land. If not a cult, then what is it? 11.) Whoop! : You are taught to “whoop” at the mention of your class from the first day you step your feet on aggieland as a freshmen. If not a cult, then what is it? 12.) Indoctrinate our Generation: If your parents are aggies, chances are, you will be an aggie as well. 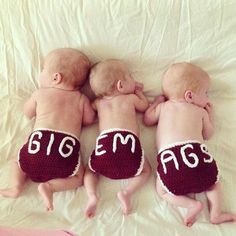 Afterall, we accessorize our kids from birth with aggie products. If not a cult, then what is it? Thanks for reading and Gig’em!